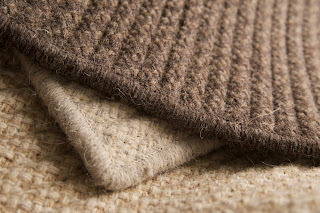 This year, we debuted 4 new collections at the 2012 markets in both Atlanta and Las Vegas; Natural Wool Houndstooth, Elmwood, Tiburon and Brooklyn. The trends this year consisted of natural tones, warm hues and texture. In response to the expanding palette of neutrals in the market, we added 8 new polypropylene colors to our offering that includes grays, browns and naturals. Additionally, we introduced new constructions and color pairings that provide style and design that is both transitional and practical. Take a peek below for additional info and photos of the new collections. 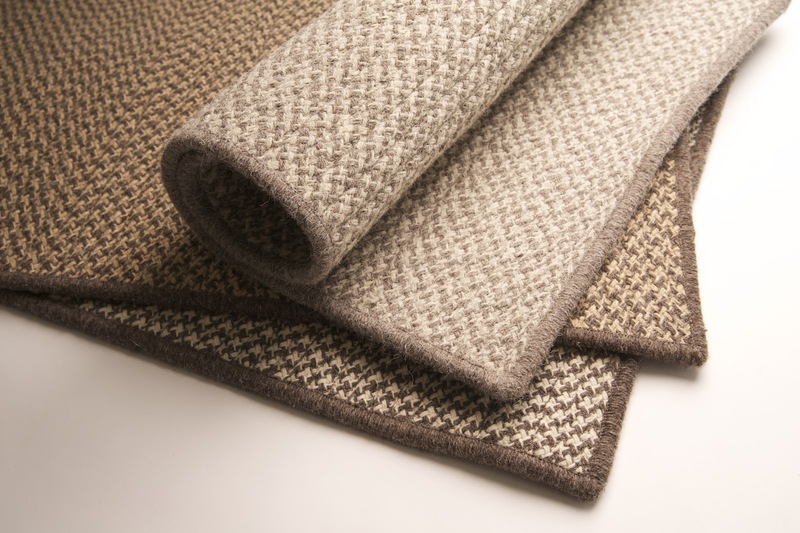 All natural, un-dyed wools come together in a unique cablelock tweed design creating a Houndstooth pattern. A highly durable and eco-friendly option that adds sophistication and comfort. 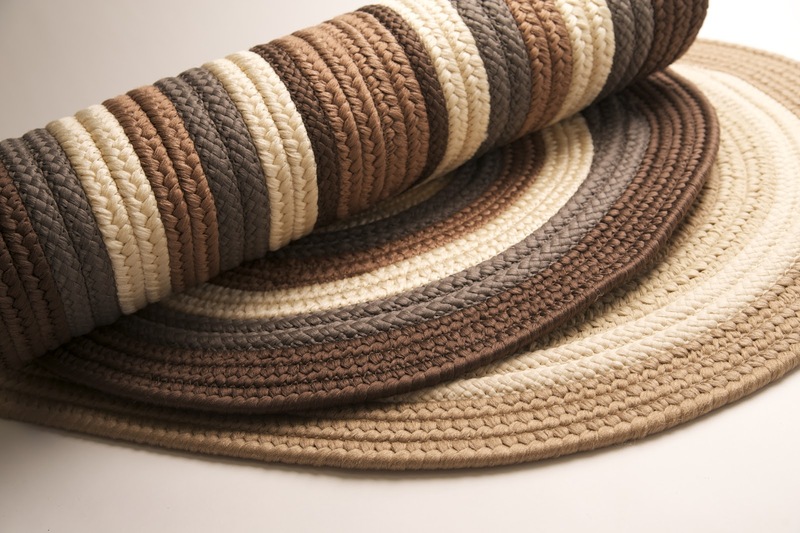 Available in 6 colorways: Cream, Latte, Tea, Caramel, Cocoa, Espresso. A soft, easy blend of natural tones with just a hint of color creating a design that works with any pattern. Ideal for bedrooms and living rooms. 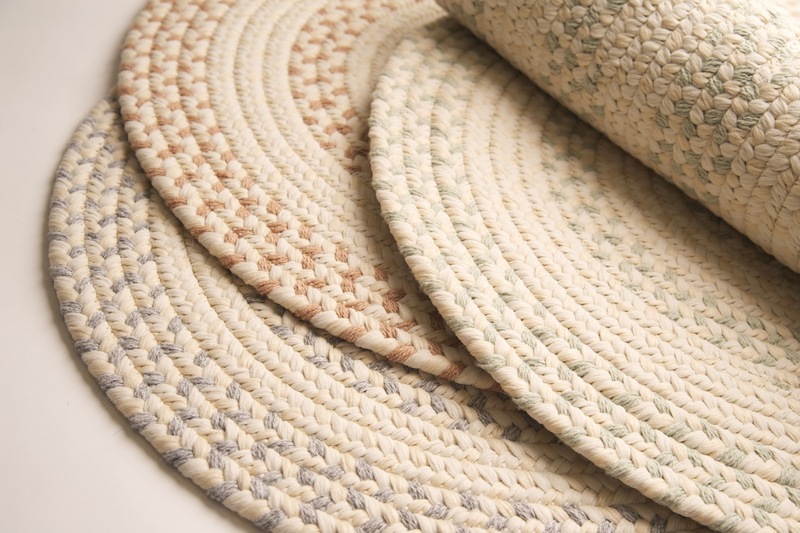 Constructed of flat braid wool-blend and polypropylene yarns. Available in 6 colorways: Stonewash, Denim, Tarragon, Rosewood, Evergold and Bark. Tip: If you're a fan of lots of pattern, try the Elmwood rug under a bed dressed in multi-colored quilts or use it in a living room to create a soft, beach-like feel. A fun, updated design to a traditional shape in natural, earthy colors. 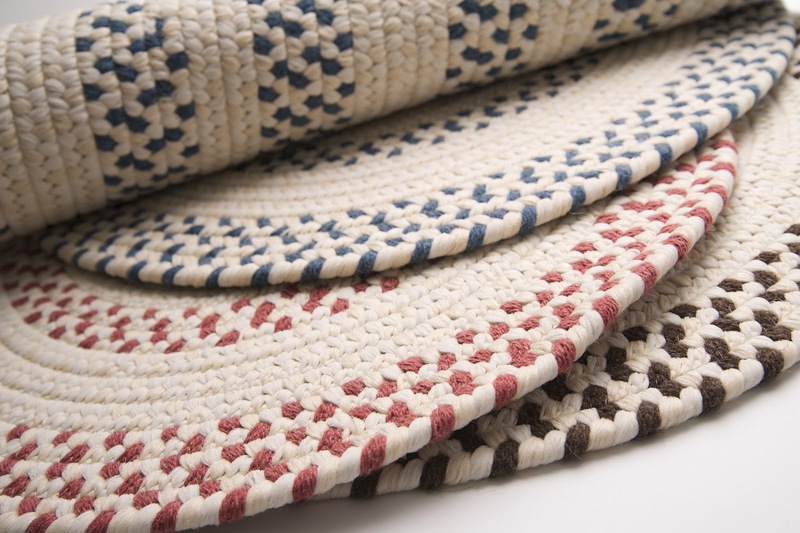 Combining both flat and cablelock constructions gives this rug the added element of texture. 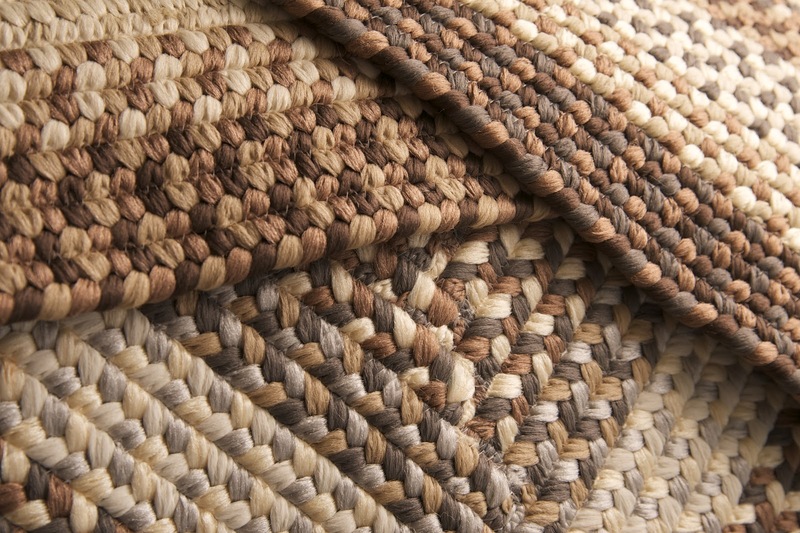 An updated shape takes a traditional flat braiding mix of natural and earthy tones to create warmth and style. Available in 6 colorways: Stone Blue, Dockside, Misted Gray, Spruce Green, Rusted Rose, Sandstorm. New collections are currently being added to our website and will officially be ready to order March 1. Please feel free to contact us for more information regarding these new collections. As the Creative Director of Colonial Mills, Inc., I have a passion for interesting product design and well-styled interiors. And I believe a rug can make a room come together. Working at Colonial Mills, I am given the opportunity to explore my passion of product design in ways beyond just your typical braid. This blog is a place to share products and designs from our factory, as well as ideas and inspiration of quality design, gorgeous interiors, and note-worthy style.